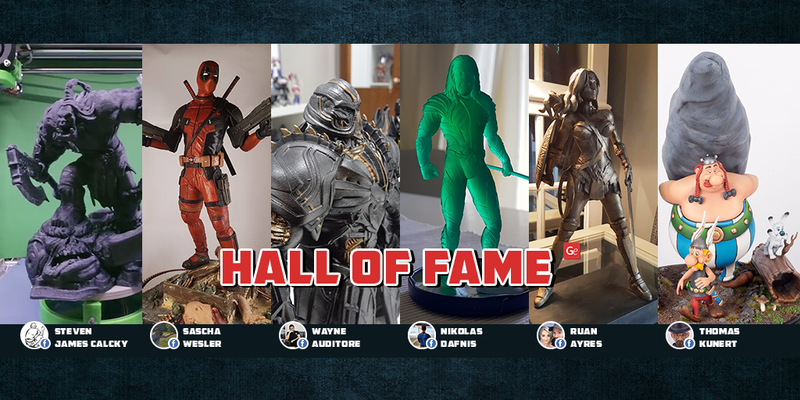 Share your Gambody prints, enter the Hall of Fame and get a 30% discount! 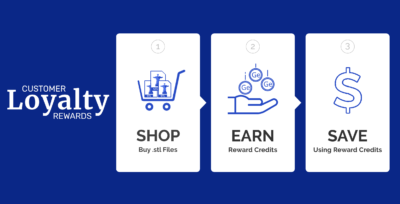 London, 31 December 2018 – It’s been more than a year since Gambody has launched MoneyBack Reward. We can’t put into words what an amazing idea it was! Thanks to this campaign our Facebook Community now is more of a library full of fantastic photos and videos. 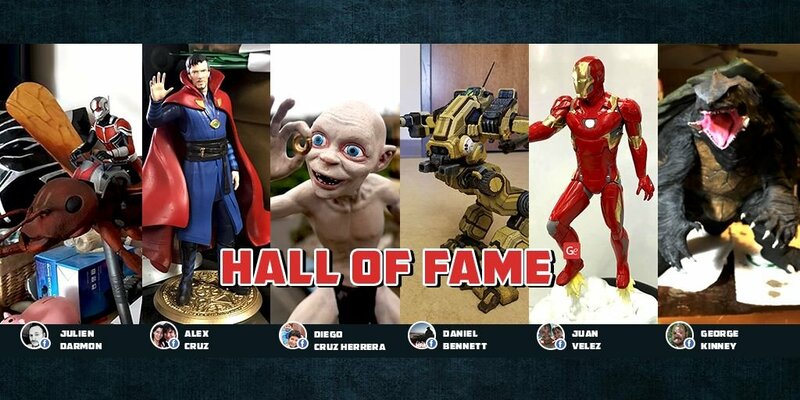 And these examples of Gambody 3D printed models serve as an inspiration to all the 3D printing enthusiasts. Some of the works were too cool to be lost among dozens of other posts. 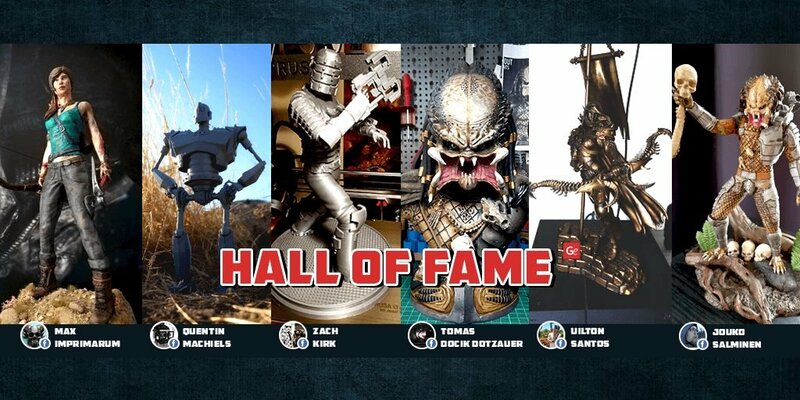 That is why we’ve decided to create Gambody’s “Hall of Fame” to celebrate all the most outstanding prints. 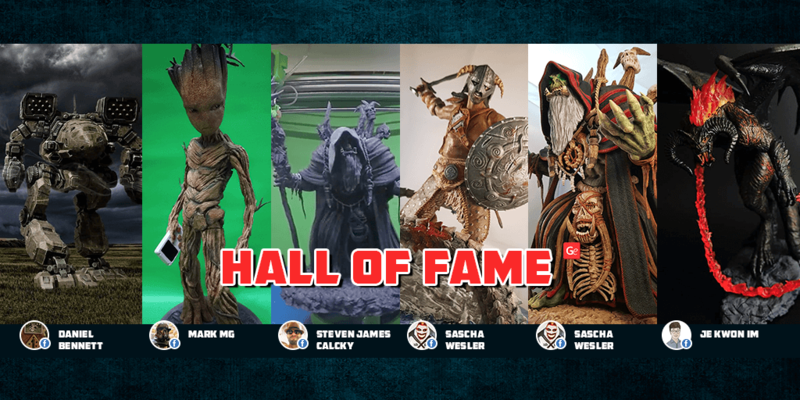 But we’ve gone a step further – from now on the place in our “Hall of Fame” is not only honourable, but also beneficial to the authors! 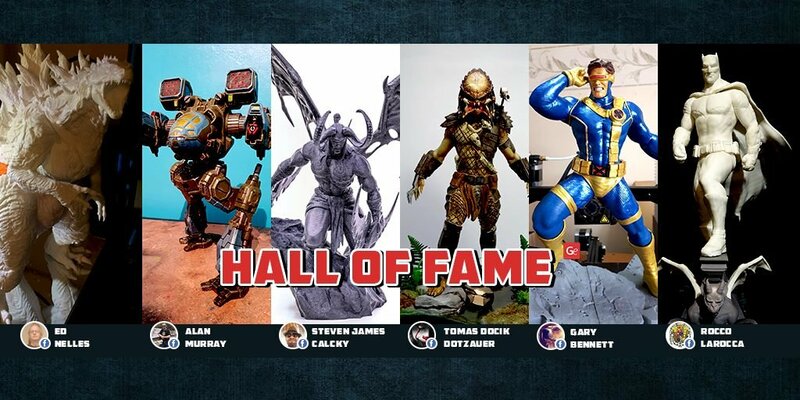 The Gambody MoneyBack Reward is officially wrapped up to give way to the Hall of Fame Reward starting from the 1st of January 2019. 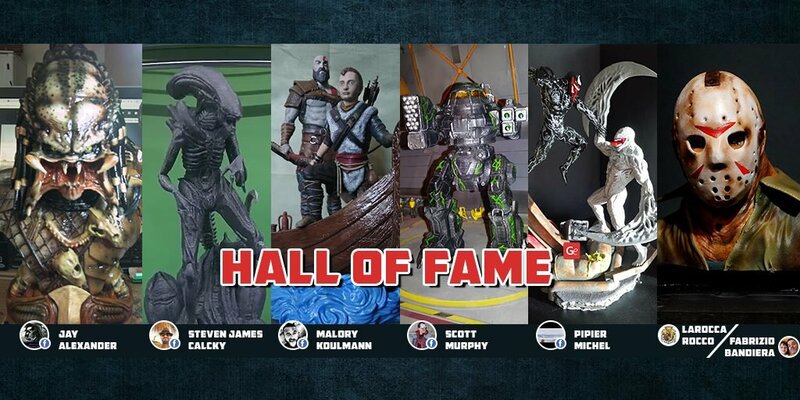 What is Gambody’s “Hall of Fame”? 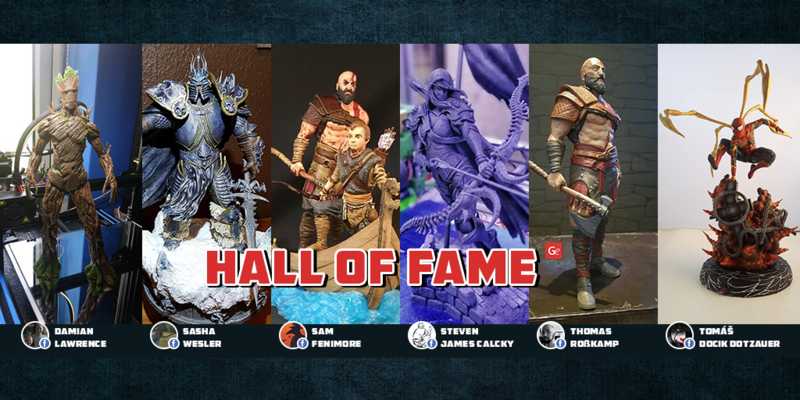 Every fortnight (from 1st till 15th and from 16th till 31st of every month) most impressive and outstanding works receiving most involvement (comments and reposts) and approval (followers’ likes) in our Facebook Gambody – 3D Printing Gaming Community are selected. 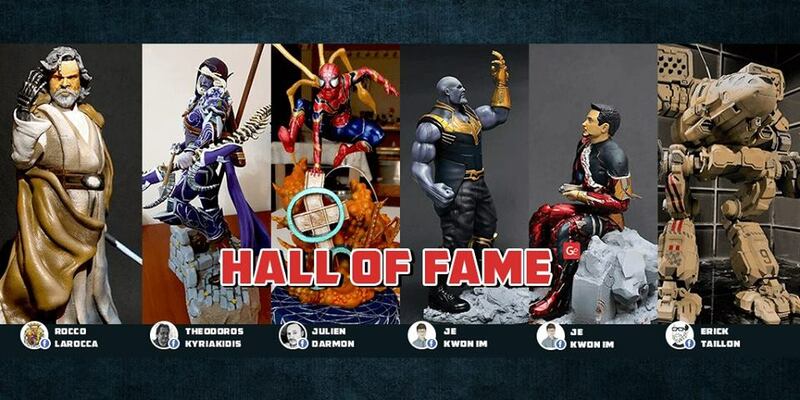 The best 6 (six) works and the names of their authors are displayed in the heading of our official Facebook group on the board entitled “Hall of Fame” for two weeks straight each month. 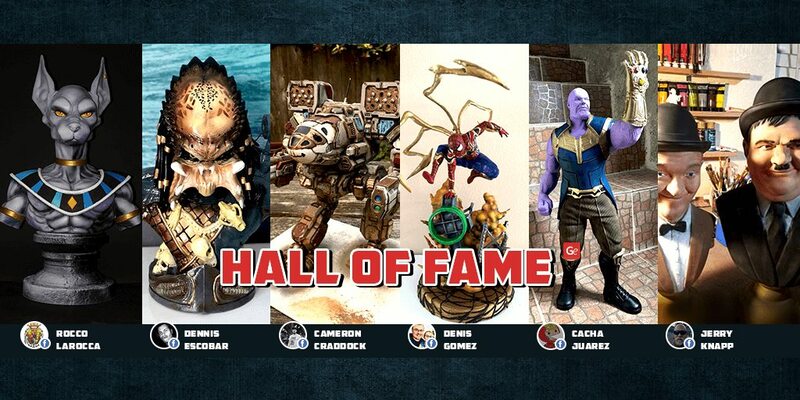 What is the Hall of Fame Reward about? 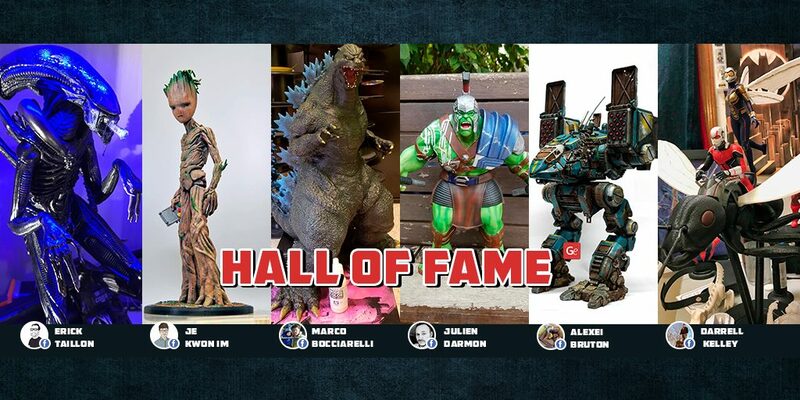 As soon as you enter “Hall of Fame” you receive a personal 30% discount code on your future purchase of 1 (one) 3D printing model on Gambody. 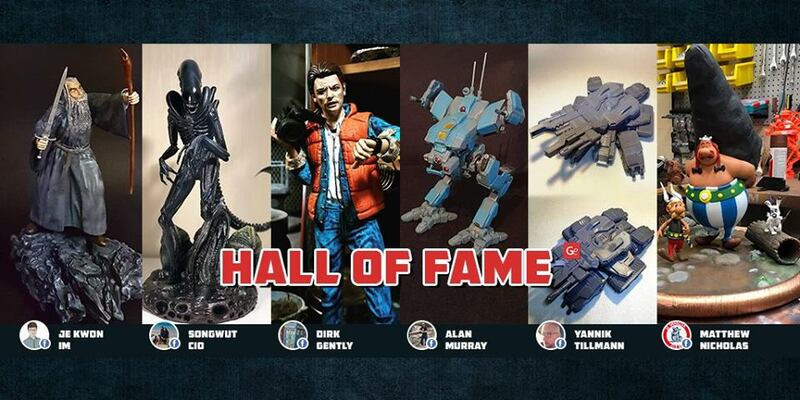 If you happen to become the member of “Hall of Fame” for the second, third, fourth time etc., then your personal 30% discount code will cover the corresponding number of models in your future purchases. 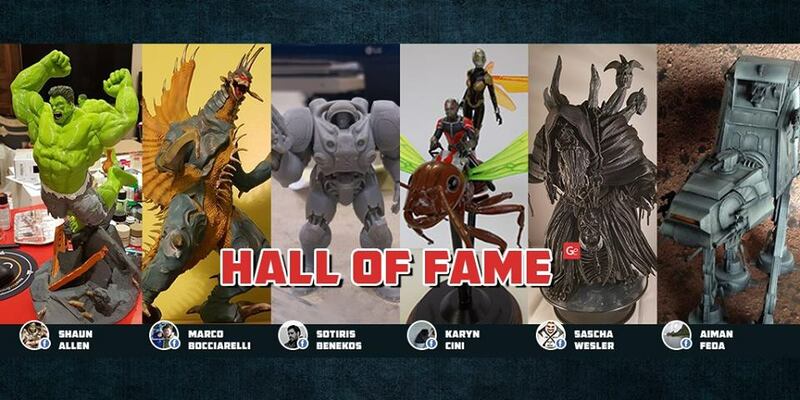 How to become the member of “Hall of Fame”? Purchase the STL files of your favourite 3D printing model/s from the huge collection on Gambody marketplace and print it with your 3D printer. 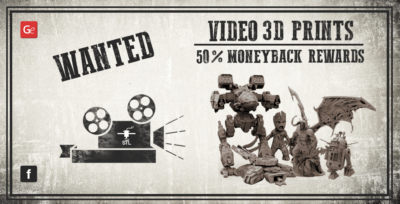 Take a photo or film a short video featuring your 3D printed and/or painted result. Publish the picture and/or short video you’ve just taken on the wall of our official Facebook Group with the hashtag #Gambody3DPrints. That’s all you need to do to take part. 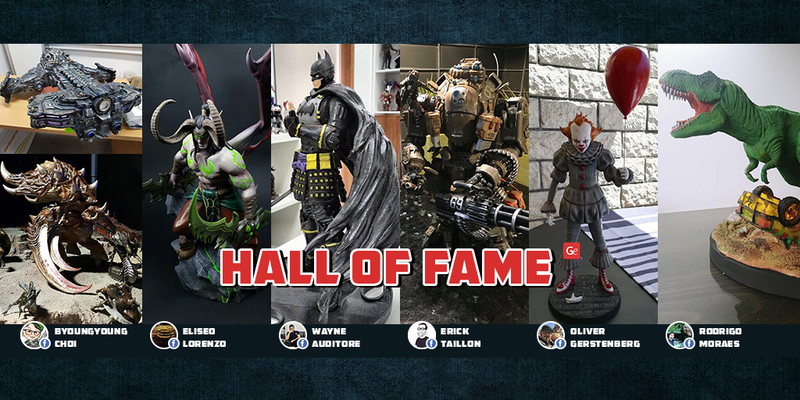 The rest is up to your friends and all the followers’ of our Facebook group who will vote for your model with their likes, comments and reposts. 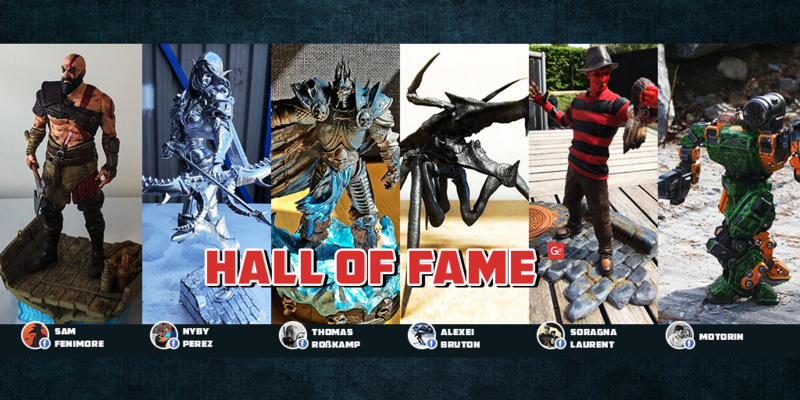 As soon as your post becomes one of the six most supported by the followers your work automatically enters “Hall of Fame”. 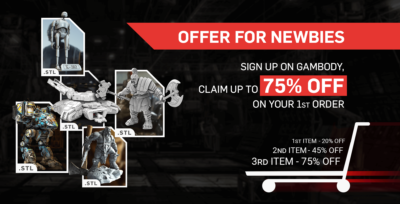 Now you can claim your 30% Reward discount code. 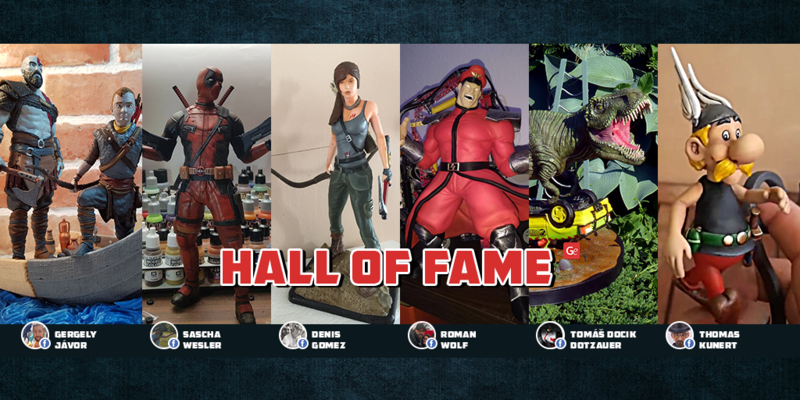 And now our officially launch of the “Hall of Fame Reward” campaign we want to start with a surprise! Ready, steady, go! 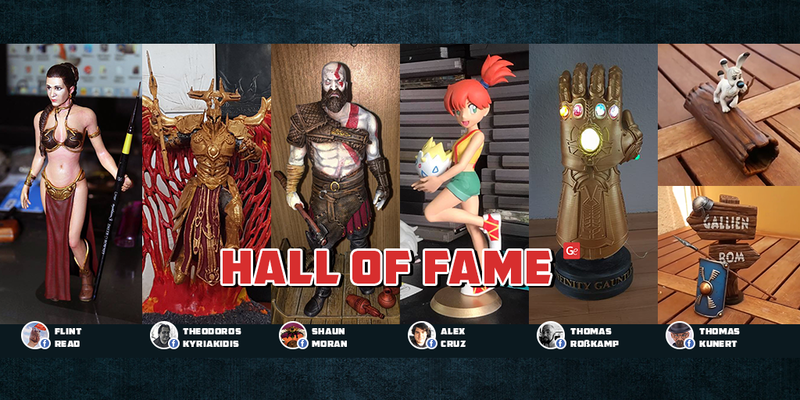 We want to praise all the members of Gambody’s “Hall of Fame” of 2018 and thank for their participation and creativity. 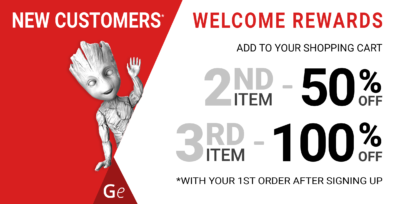 So we are already granting them personal 30% discount codes for the future purchases on Gambody! 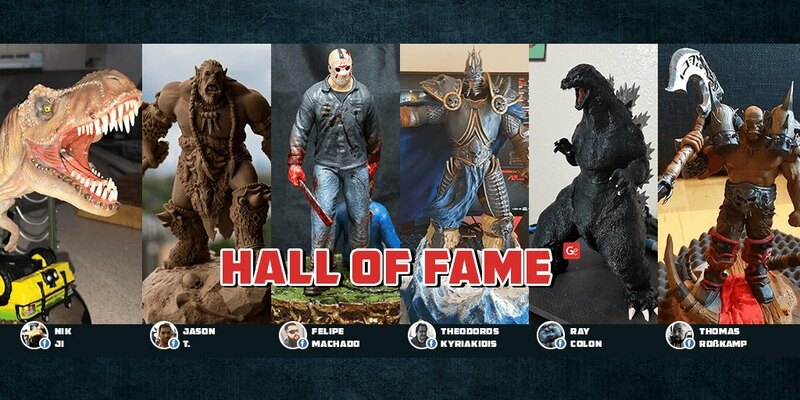 The number of models each of them can buy with the discount depends on how many member’s prints have entered “Hall of Fame” in 2018. 30% discount on 1 model – Nyby Perez, Soragna Laurent, Леонид Моторин, Damian Lawrence, Flint Read, Shaun Moran, Gergely Jávor, Roman Wolf, Nicolas Dafnis, Ruan Ayres, Eliseo Lorenzo, Oliver Gerstenberg, Rodrigo Moraes, Nik JI, Jason T., Felipe Machado, Ray Colon, Max Imprimarum, Quentin Machiels, Zach Kirk, Uilton Santos, Jouko Salminen, Dennis Escobar, Cameron Craddock, Cacha Juarez, Jerry Knapp, Diego Cruz Herrera, Juan Velez, George Kinney, Darrell Kelley, Ed Nelles, Gary Bennett, Jay Alexander, Malory Koulmann, Pipier Michel, Shaun Allen, Sotiris Benekos, Karyn Cini, Aiman Feda, Songwut Cio, Matthew Nicholas, Wojciech Kałużny, Mark Mg.
Guys, all of you can already contact Gambody in order to claim your discount codes! And now, let’s rewind all your award-winning works! Have a great 3D printing experience! Gambody Is Celebrating Its 3rd Birthday!